Rameez Sohail of Pakistan is studying automotive marketing and management. Prayer, parties and parades filled the day for Rameez Sohail every Aug. 14 in his native Pakistan. That is the day of his country’s independence, a nationally recognized holiday complete with no school, extravagant celebrations and food such as biryani, a dish made up of rice, chicken and spices. But this year, Sohail was far away from home in Mesquite. Sohail came to Eastfield from Pakistan earlier this year to study automotive marketing and management. Prior to moving, he had to go through multiple interviews and show numerous documents to the U.S. consulate, a government representative that facilitates the travel of citizens of other countries to the United States. Because of the expense of his journey, including a $20,000 sponsorship from his American cousin that he had to show the U.S. consulate as proof of financial responsibility, Sohail has one thing on his mind: his studies. His cousin, who came to the U.S. at 4 years old, is now a 36-year-old bank manager for the Branch Banking and Trust. He checks in on “Ramz,” as he and other family members call Sohail. “It’s really important to focus on your studies,” they stress. Sohail understands his role and abides by it, even at the cost of tradition. During summer school, during the Muslim holiday of Eid, Sohail prayed for 10 minutes and then went to class. Academic adviser Duane Evans believes Sohail’s dedication is the norm for international students. Evans cited a John Hopkins University study from 2009 that found immigrant blacks were nearly 15 percent more likely to attend college than their native black American counterparts and almost 3 percent more likely than white Americans. Although he did visit an American movie theater to see “The Great Gatsby,” Sohail has avoided the distractions he believes the country is filled with, such as clubs and television. A classmate in his listening and speaking class, Taeko Hasegawa, who is also an international student from Japan, inspires him to continue to do better. ESOL professor Ann Friederich taught Hasegawa a year ago in a writing course and acknowledged how much she’s grown. Hasegawa has improved leaps and bounds since then but still believes she is weak in her hearing and sees her age of 55 as a drawback to her learning. “I am full-time student; very, very hard for me because I am very old,” Hasegawa laughs. She is the proud grandmother of an American grandson she helps take care of in between submitting writing assignments and getting ready for tests. Back home in Japan, she was a management nurse in charge of other young nurses. Here in America, she works on improving her English in classes alongside Sohail. Friederich believes English is difficult for international students because nothing looks as it’s supposed to sound. Now Sohail is nearing the end of his ESOL classes. Should he pass them all, he could start college-level courses such as English and History 1301 in the spring. 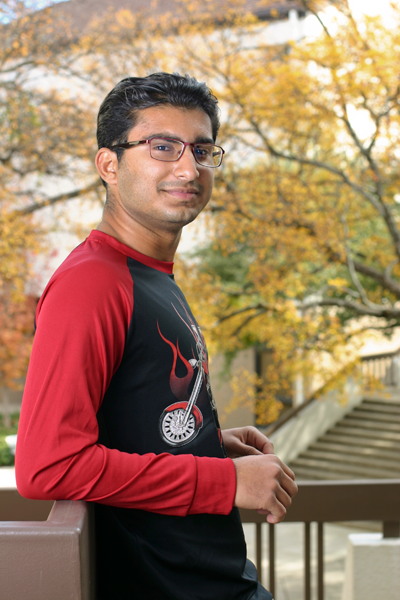 Sohail credits his adviser, Sheneika Hathaway, who works in the English Language Learning Advisement office, with guiding him through his academic career thus far. Sohail’s ultimate goal is to attend Northwood University to get a bachelor’s degree in automotive marketing and management after taking some business classes next semester at Eastfield. Upon finishing his degree, he plans to return to contribute to his home country’s economy and make a living while being with his family again.